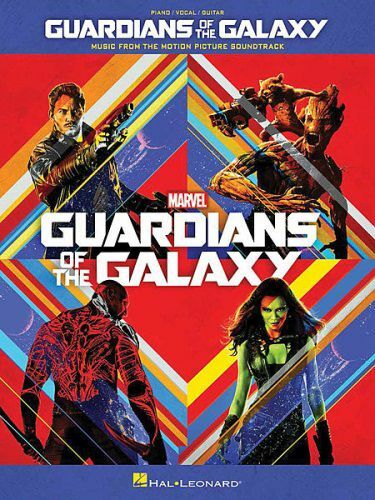 A baker's dozen songs from the soundtrack to this 2014 film based on the Marvel Comics comic book series. It features a stellar retro collection of pop hits arranged for piano, voice and guitar as well as full-color scenes from the movie. Includes: Hooked on a Feeling · Fooled Around and Fell in Love · I Want You Back · Come and Get Your Love · Cherry Bomb · Escape (The Piña Colada Song) · Ain't No Mountain High Enough · The Ballad of the Nova Corps · and more.